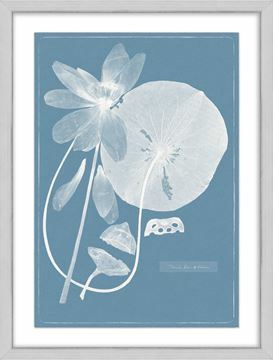 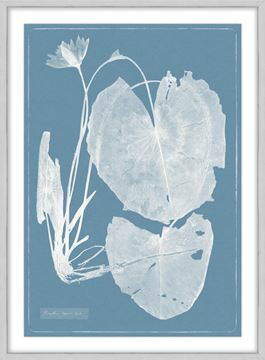 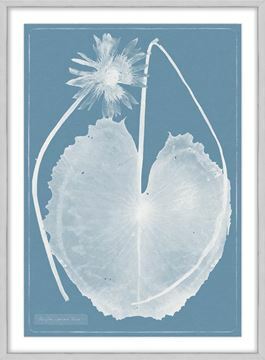 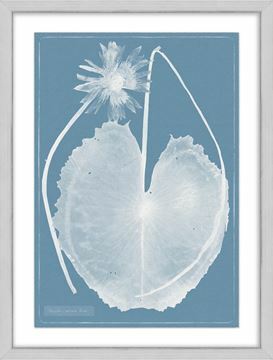 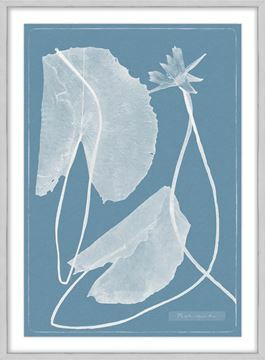 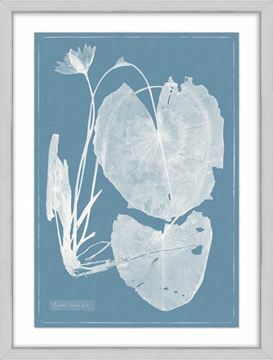 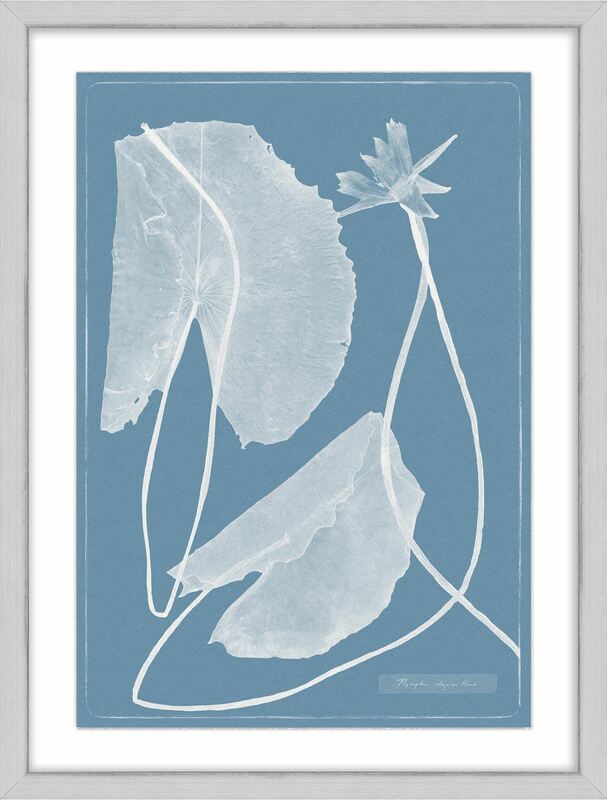 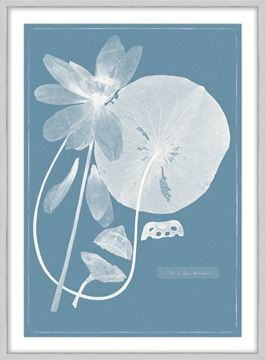 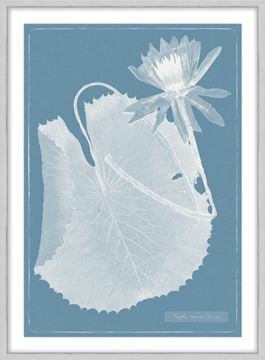 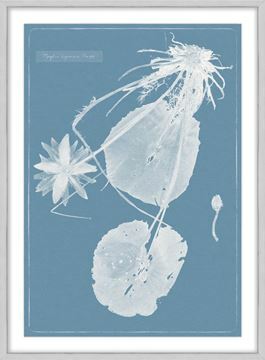 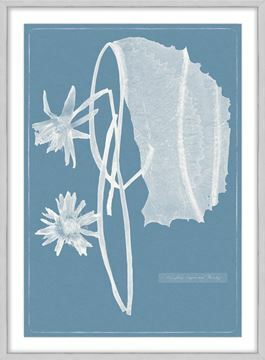 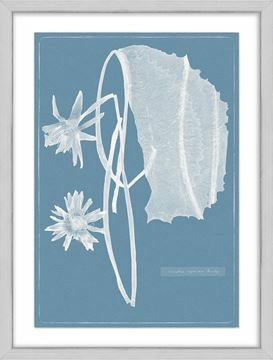 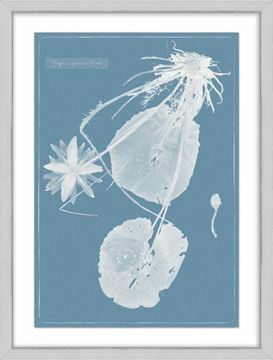 Cyanotype is a photographic printing process that produces a cyan-blue print. 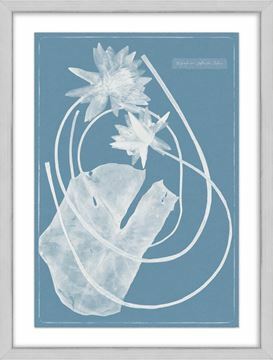 Engineers used the process well into the 20th century as a simple and low-cost process to produce copies of drawings, referred to as blueprints. 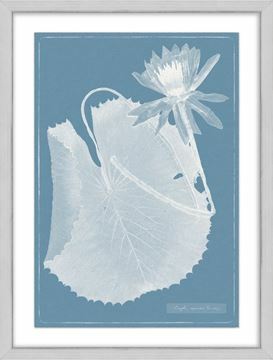 These serene waterlily images in a soft wedgewood blue and white have a torn edge and deep frame space in a soft gray profile. 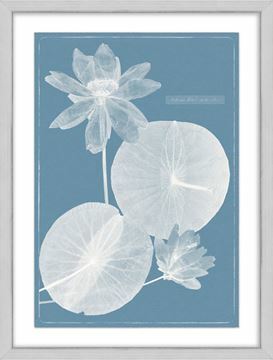 A deep space is created between the image and the glass to allow for raised images and mattes to create depth within. 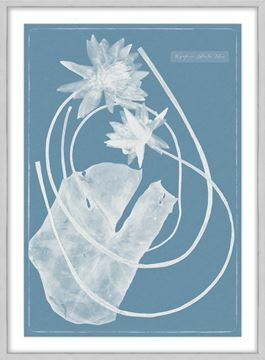 Usually combined with a raised image, the edge is hand torn to create the look of hand made paper. 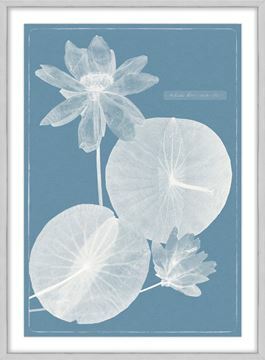 The image is laid on ¼” foam core to create depth.